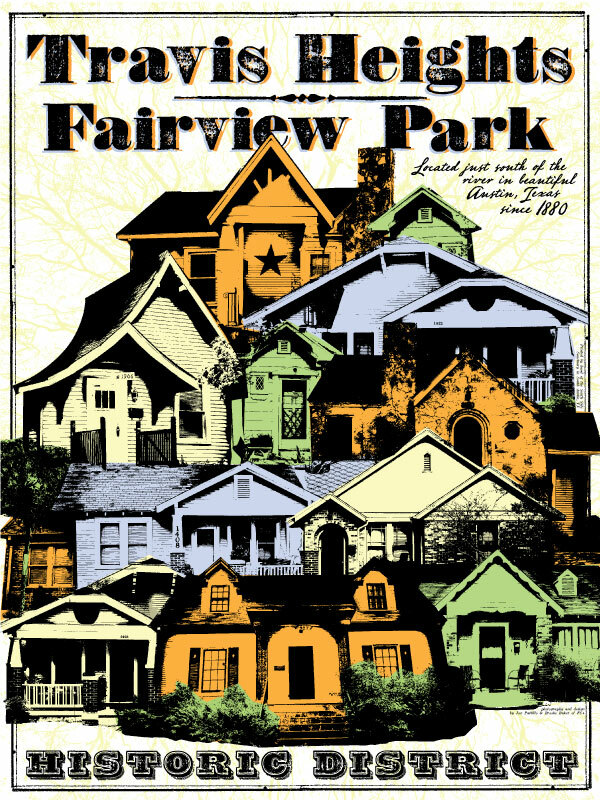 Colorful hand-made serigraph prints ($45, 20″ x 26″) by Jon Pattillo of Fat Caddy Plus celebrate the sweetness of our historic neighborhood. Donate to our cause and decorate at the same time. E-mail Historic Travis Heights and we will get one or more of these signed, numbered works of art to you.